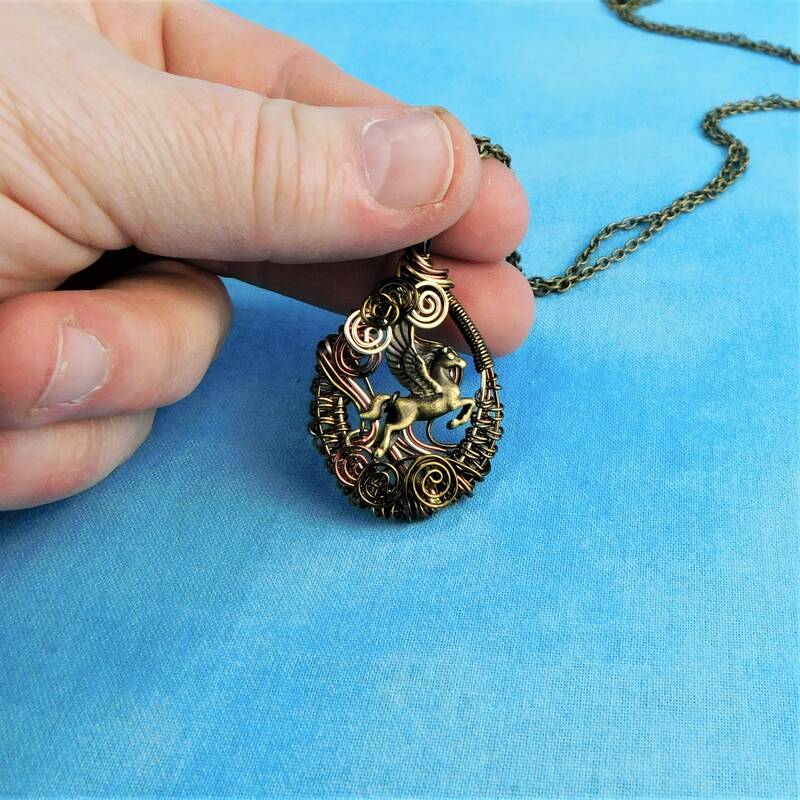 The mythical winged horse Pegasus glides within an intricately woven, artisan crafted frame of non tarnish copper and brass wire. 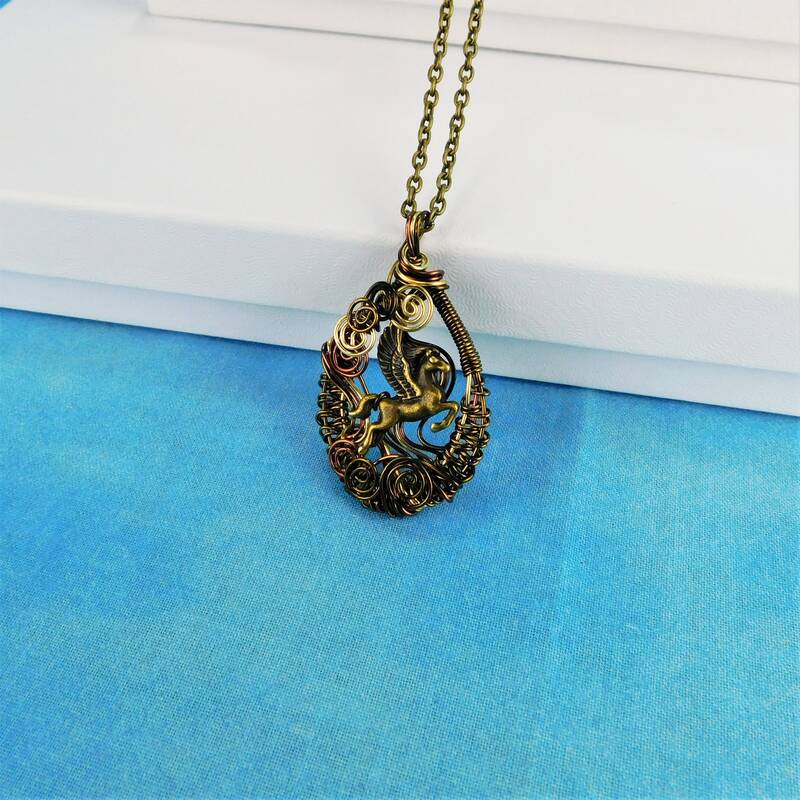 The entire pendant was created using only four strands of wire and a metal charm. 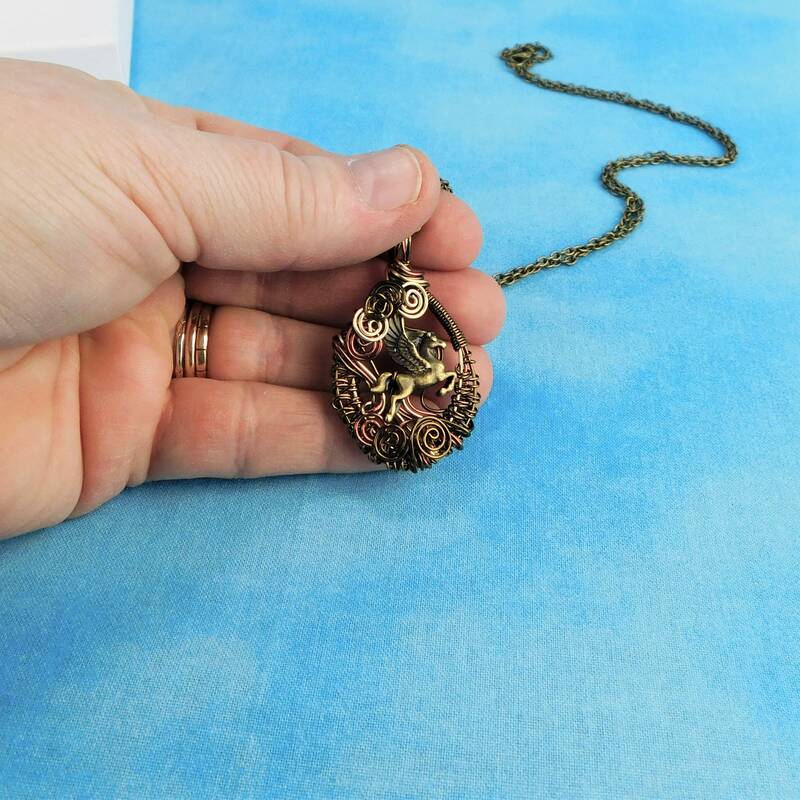 Pliers and patience were the only tools used in crafting this wearable work of art. 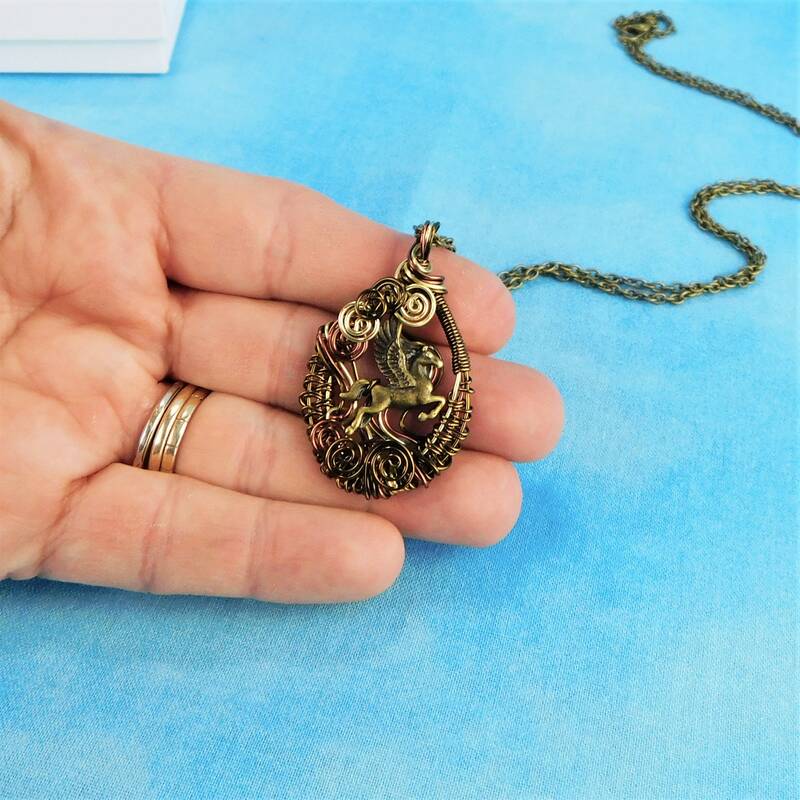 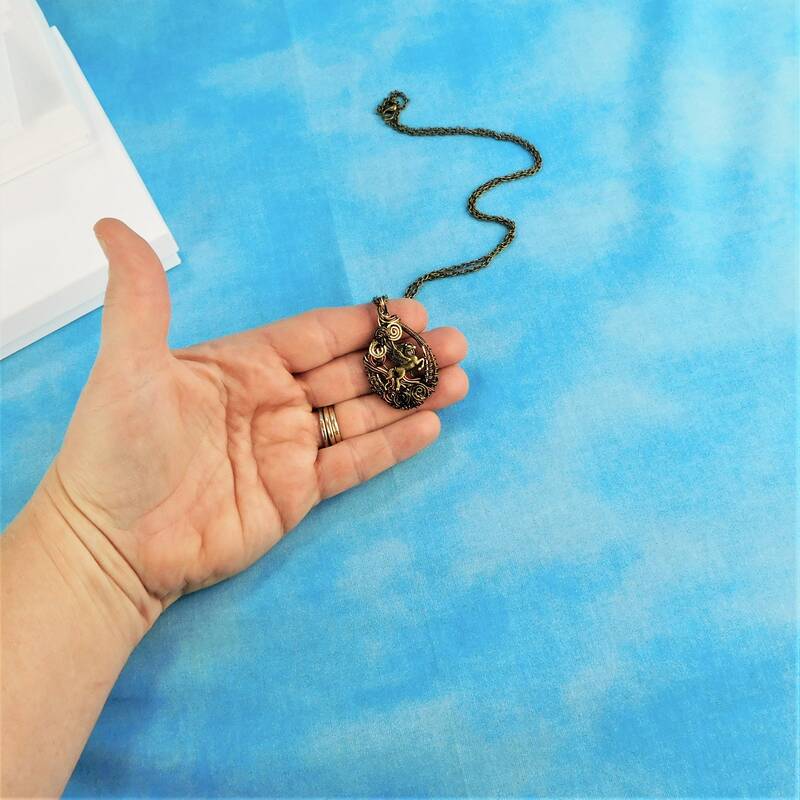 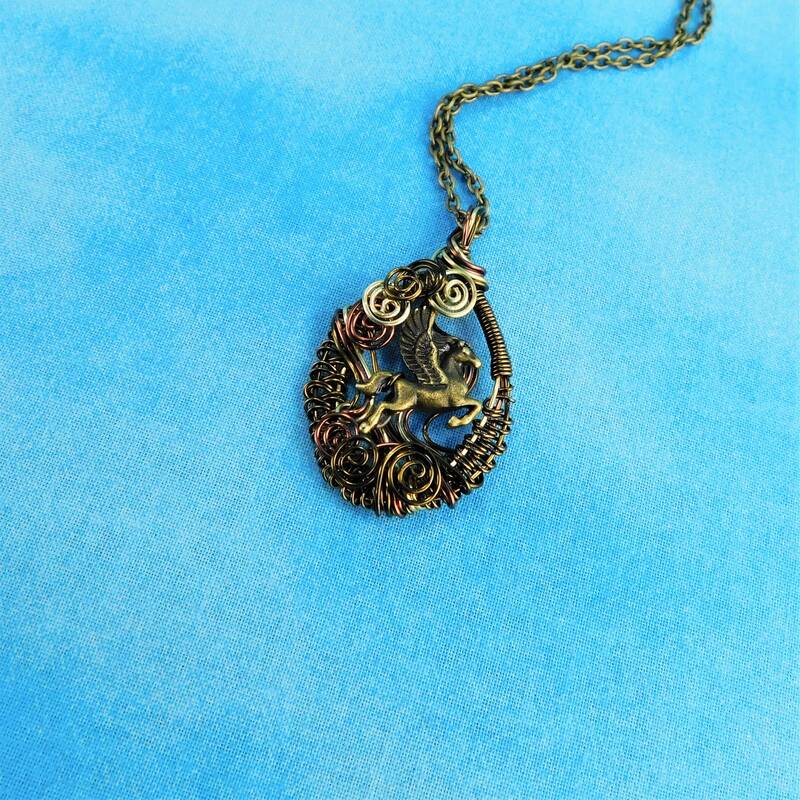 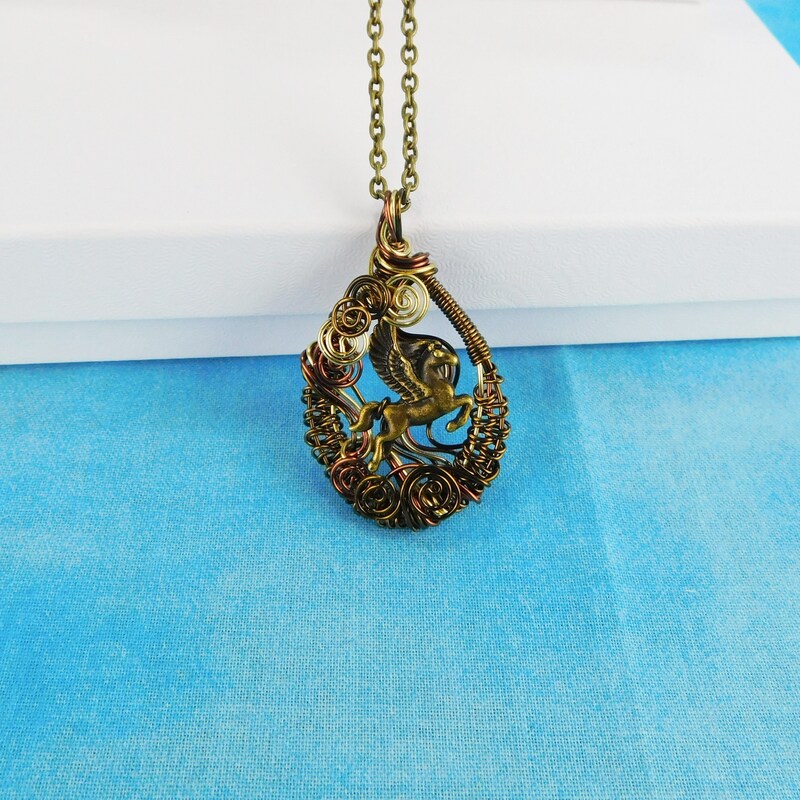 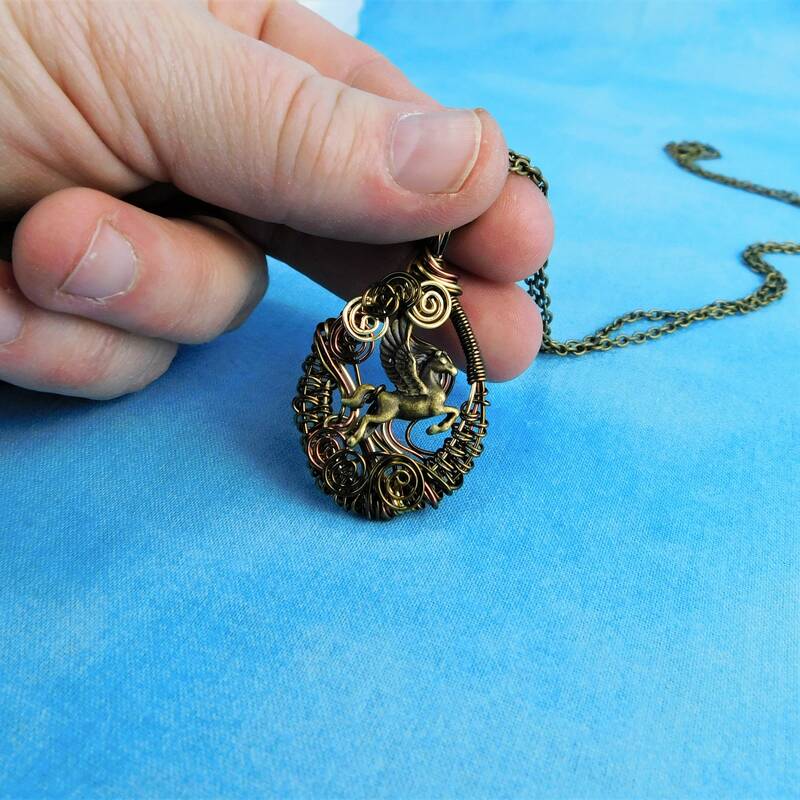 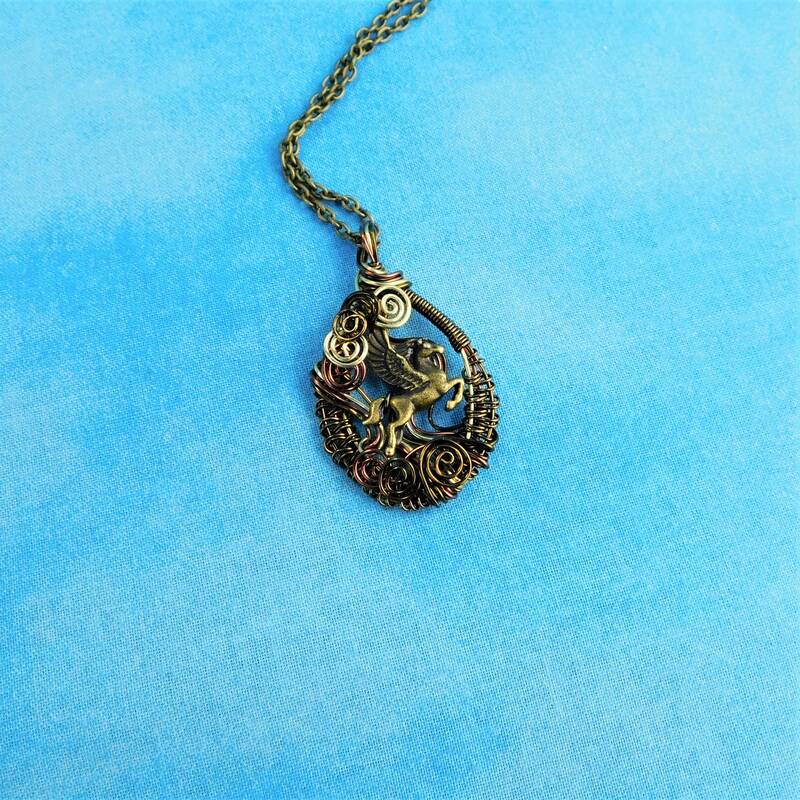 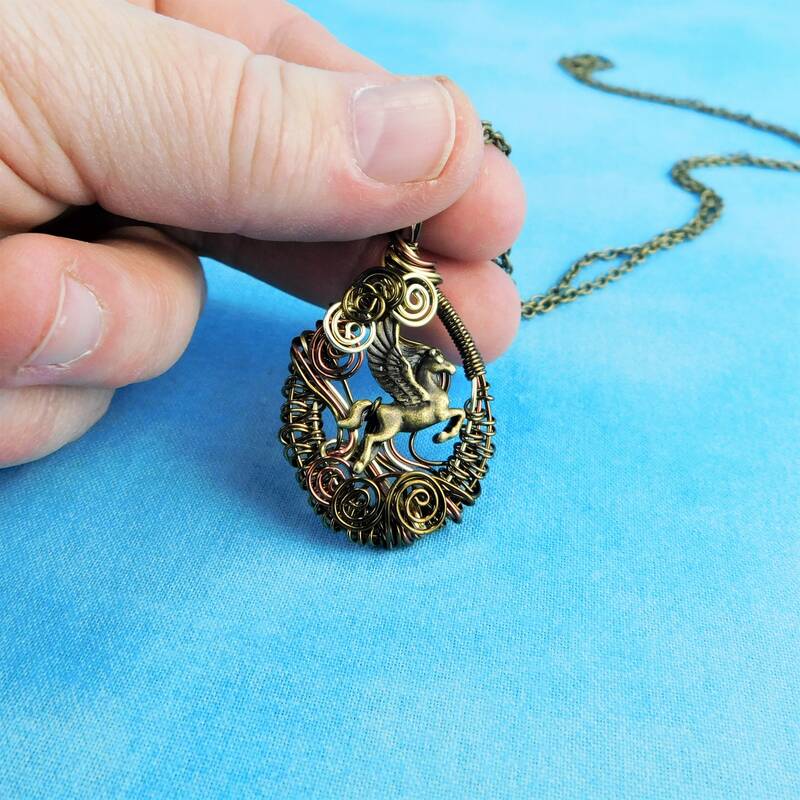 The pendant measures 1 1/2 inches by 1 inches and comes with a FREE coordinating metal chain with lobster claw clasp.